After the introspective tale of “Inside Out” comes the story of unlikely friends taking on the colorful and expansive world around them on a journey back home. Disney and Pixar are known for groundbreaking and innovative animation techniques, and with every new film comes a new crop of characters and stories that defy expectations of the imagination. Rest assured that Pixar’s newest film “The Good Dinosaur” is no different. In this film, Pixar asks us to imagine “what would it be like if the meteor didn’t wipe out the dinosaurs?” We’re introduced to the unlikely duo of Arlo and Spike who embark on an adventure to find their families after being separated during a bad storm. The landscapes for this film were created with the intent to make the world seem big and the characters seem small. Mostly due to the fact that these dinosaur need to seem diminished by the vast and expansive world around them even though they’re huge. Technical Effects Lead for Pixar Animation Studios Michael O’ Brien explained these methods and more when I got the chance to chat with him prior to the film’s world-wide release. We discussed his other film credits including “Cars,” “Monsters Inc,””Finding Nemo” and the upcoming sequel “Finding Dory,” plus his role in making these iconic animated works of art. 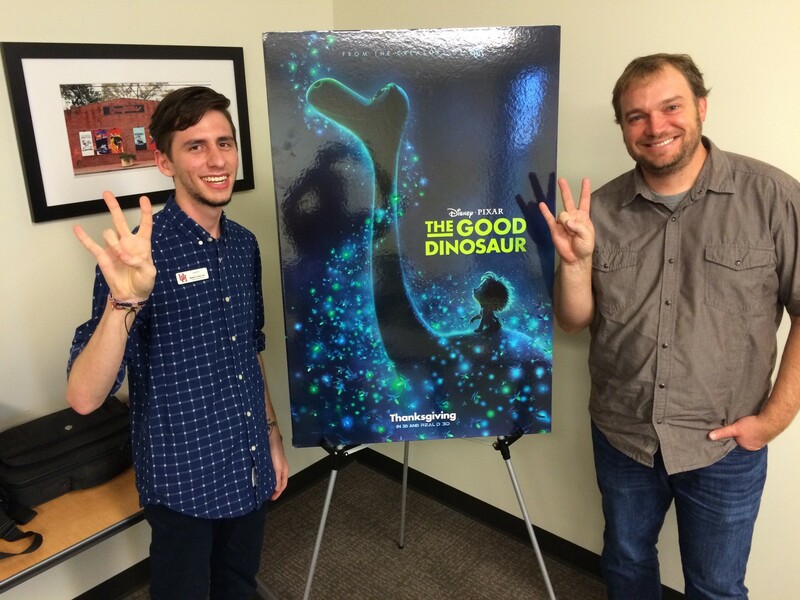 Listen to the full interview below and see “The Good Dinosaur” in theaters now! Thank you to Coog Radio and Moroch for the opportunity to interview him.